Did compassion kill Manute Bol? The past few weeks have been a blur of hospitals and doctors for Mathiang Bol. His cousin basketball great Manute Bol died Saturday at the University of Virginia Medical Center at age 47. Between making funeral arrangements, helping his Sudanese family understand the American health system and dealing with his own grief, Mathiang, also known by his English name, George, has been going non-stop. "I was with him when he died," Bol told CNN as he drove family members to the airport Monday in Virginia. "They put him on a respirator on Friday. He passed on Saturday morning," says Bol. George Bol says doctors told the family that a "broad range of complications" led to his cousin's death. He had liver and kidney damage. He also had a bad reaction to medicine and developed a rare skin disease, Stevens-Johnson syndrome, which causes skin and mucous membranes to become inflamed and blister. In their grief, some people close to Bol wonder if he put his commitment to the people of his home country of Sudan above his own health. "I think if he had not gone to Sudan, he would be alive today," says Tom Prichard, a friend of Bol and executive director of Sudan Sunrise, a group Bol worked with to help rebuild Southern Sudan. "Back in the fall, I helped arrange for Manute to go to the doctor. He was having kidney problems. He shouldn't have traveled until it cleared up." But he did. In November, he traveled to Sudan to work on the school he was building and lend support during the Sudanese presidential and parliamentary elections. Prichard says Bol left behind a bag that contained his medicine. It took weeks to get the medicine to Bol in Southern Sudan. Complicating things, Bol then decided to extend his time in Sudan. "I am going to stay because people need me," Prichard remembers Bol telling him. The pain got worse. Prichard says supporters arranged for a private plane with a nurse to bring Bol out of Sudan, but he refused. Eventually, the pain became so bad, Bol went to Nairobi, Kenya, for treatment. He had gallstones and internal bleeding. It's there, according to Prichard, that Bol was given medicine that caused Bol's lips to swell, one of the classic symptoms of Stevens-Johnson. In May, Bol flew back to the United States, where he was admitted to Reston Medical Center in Virginia. A few days later, he was transported to the University of Virginia Medical Center. Doctors tried to save his life, but there was nothing they could do. "He is beloved in Sudan and will be missed," says Prichard. A memorial is planned for Saturday in Washington. Afterwards, his body will be flown to Sudan for burial. Bol leaves behind eight children ranging in age from 22 years to 3 months. You have done more with the talent given to you than most. You never forgot those of us who did not have the resources to help ourselves. I hope you ended you life with a free and happy heart. I had been told stories of Manute Bol's kindness, generosity and hard work by a close friend, but never truly understood what a great man he was until I read articles about him after his death. I read this article and blog yesterday and I just couldn't get it out of my mind. I decided I needed to say something. Some who read this never knew Manute Bol or had never heard of him. While others who are reading this are grieving over the loss of their family member and close friend. It's such a shame, while reading this blog of kind words; we have to see the hurtful words from Mike. We should all take a lesson from Manute and show all our brothers and sisters forgiveness and kindness. I read a profile of Mr. Bol in Sports Illustrated many years ago and have admired his dedication to his fellow Sudanese ever since. What a tragedy that the world has lost him so soon. Other posters clearly are correct that he was too stubborn and single-mindedly focused on the need to help his home country. However, these are the qualities that kept him working so hard for them while the wars there were still raging and he was in danger every time he set foot in the country. Few have such courage. Let him serve as an example to us. We may wish that Mr. Bol had taken his doctor's advice & stayed in treatment; however, we also have no idea what prognosis his doctor gave him. Several articles have pointed out that, at age 47, he had already lived longer than many other uncommonly tall people. He may have decided to do the most he could for his country before his health situation became untenable. We simply do not know his medical history; thus, we should not judge the choices made by this extraordinary human being. Mr. Bol made this world a better place. Humanity has lost a great deal. This article should be manatory reading for all professional athletics. This is a man who gave so much more than he received and alot of today's professional are selfish, self center and all they care about is the money. They want to make hundred's of millions for a God given talent and then act as if they are above the law. Mr. Bol is a man who I would be honored if my children looked up to. He left his medicine back in the states and couldn't recover it or get it refilled in Africa? He was seriously ill and did not seek treatment? The article portrays it as if he had to sacrifice his life in order to save people in Sudan? He died of bad judgment–he can't help the people of Sudan when he's dead! What a JOKE! About Mr. Bol's condition...Sounds like it was managed well until he forgot his meds. One would have to understand the infrastucture in Sudan to appreciate why it might have taken so long for him to receive them. And yes, to those who judge, a busy person could easily leave a bag behind. He was human and we do things like that. Steven's Johnson is not necessarily from "wrong" medication. It is an adverse effect and it is not all that uncommon of a reaction to medications. It is associated with medications some of the bloggers above may take. The guy made a mistake. He was in a place where people die every day from very simple things that we run to the doctor to get an antibiotic for. The point of the story is about the amazing good he did while he was here and how he used his B-Ball fame and resources to give back to those who needed it most. How I wish God had let us have him a bit longer. But God knows best and called Manute home. Now his trials are over and he has received the reward he deserves. Rest in Peace, Manute. Now your true life begins. An adverse drug reaction took Manute Bol's life. Mr. Bol died from complications of Stevens Johnson Syndrome, an adverse reaction to a medication that he was taking. Adverse drug reactions are the 4th leading cause of death in the United States. Awareness of the signs of such a reaction could have saved his life. Mr. Gupta, when are you going to help spread awareness about this silent epidemic? Stevens Johnson Syndrome is not rare, it's just under-reported. Go to http://www.sjsupport.org to find out the facts about this adverse drug reaction. Find out about Stevens-Johnson Syndrome before it finds someone you love. Manute Bol was a great man and a great role model. "Greater love hath no man than this, that a man lay down his life for his friends" John 15:13. And Pablo, "to say he died of poor judgement....What a joke" is offensive to me, his family, his friends, and the people of Sudan. Have you ever gone anywhere and then realized that you forgotten something? if you say never then you are a lier or God (which I know that you are not God) People make mistakes so do not try to make his friends and families feel bad by saying things like that. His children will grow up knowing that they had a wonderful, caring, committed father who was full of compassion for everyone end especially for the people of Sudan. I hope that the building of his schools will be able to continue on until they are done and filled with many happy children that he can look down from heaven at and know that he did a good job. My condolences and prayers go out to his family and friends and his extended family the people of Sudan. We are all so very saddened to hear of Manute's passing. He was a selfless man who always put others before himself. Now is the time to rally together and continue what we all have been doing – helping the country of Sudan. Reconciliation, schools and peace are all desperately needed. We will continue to give and hope to just touch the surface of what this great man has done for his people. We all send our condolences and wish we could be with you at this difficult time. 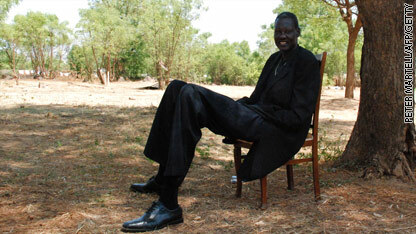 My condolences to Manute Bol's family and to the Sudanese people. The world has lost a great humanitarian. Let those more fortunate, help and raise up those who aren't. I am saddened to read of Manute Bol's death, and so many years after the fact. He was in my Ceramic's course at the University of Bridgeport probably in the Fall of 1985 semester. Our course was in the basement of the 8 floor Arts building: students would make up moist clay from powdered materials, much like a cake recipe: the percent of individual ingredients depended on the temperature that the dried clay creations would be fired at. Manute made 3 unique figurines, images of African animals in the traditional style of the area his was from. He didn't speak English well but was always very polite, friendly, and smiled often. He appeared content and happy. Its wonderful that he went on to great accomplishments, and help so many people.